Since 1987, Permanent Reflections, started by glass artist Randy Mardrus, has been designing and creating handmade illuminated carved glass that delivers a stunning impact to the world’s most luxurious environments. Mardrus begins these original commissions by creating and refining sketches, inspired from a client's ideas. After meticulous preparation, he uses his sandblasting techniques to carefully hand carve away glass until the desired depth for each detail is reached, slowly and patiently creating elaborate deep relief sculptures in glass. The pieces are then illuminated with concealed lighting... The result is carved glass art that flaunts vibrant colors and captivating depth - pieces that demand attention. "Because each piece is exclusive and original," Mardrus says, "clients are proud to know their artwork is unlike any other in the world." Starting young, Randy was encouraged as a child to follow his dream of being an artist by family, friends, teachers and everyone who noticed his natural talent and passion for art. After countless hours of experimenting in the 1980's with carved glass - and learning it's unforgiving nature, he became fascinated with this time-honored art and began getting exciting results. It became his life's work, and now he continues to push the creative limits of his medium with unsurpassed experience and innovation creating carved glass infused with light. "I love the way glass dances with color and light, and the challenges and rewards of achieving the effects I'm looking for, but my biggest rewards are from the overwhelming satisfaction expressed by my clients." Recognized worldwide, Mardrus’ artwork continues to get lots of attention and is showcased in many luxury homes, commercial environments, mega-yachts and private aircraft by a diverse list of clientele, including some of the world’s most respected companies, VIP’s and heads of state. Many of his pieces are also featured in international hardcover books and magazines. "Our mission is sharply focused on satisfying those who desire the extraordinary, with world-class quality and artistic vision." Consider the many beautiful carved glass options including wall art, partitions, railing panels, doors, windows, furniture, freestanding sculpture and artistic signage to name a few. 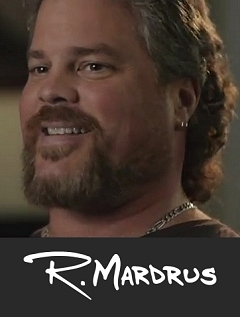 Your work of art will be individually designed and handmade by Randy Mardrus. We work closely with designers, architects & builders to achieve the most desirable effects for your environment. We're there for you, from concept through installation. Private Estate, Grand Cayman Island, Private Commission: Tropical scenery artwork, entryway doors. Boeing 747 wide-body jet, Private Commission for the leader of a country: Leopards artwork, master bedroom headboard. 150 foot Mega-yacht "The Atlantis", Private Commission: Underwater panorama artwork, main bar installation. U.S. Senate Building, Washington, DC, Government Commission: Patriotic artwork, light fixture installations. Argosy Casino, Lawrenceburg, Indiana, Corporate Commission: Gaming theme artwork, gaming room installations. Private Estate, Greenwich, Connecticut, Private Commission for an internationally recognized solo recording artist: Rooster artwork, Carriage House door installation. United Hospital Center, West Virginia, Corporate Commission: Donor Panels artwork, Sixty installations throughout hospital. Luxury Apartment building, Manhattan, New York, Corporate Commission: Wrought iron / Gazelle artwork, lobby window installation. Private Estate, North Carolina, Private Commission: Wolves and Mountain scenery artwork, loft railing installations. Copyright Permanent Reflections, All Rights Reserved.